3 beautiful tiers of seashell blossoms unfold to cradle a candle pillar! 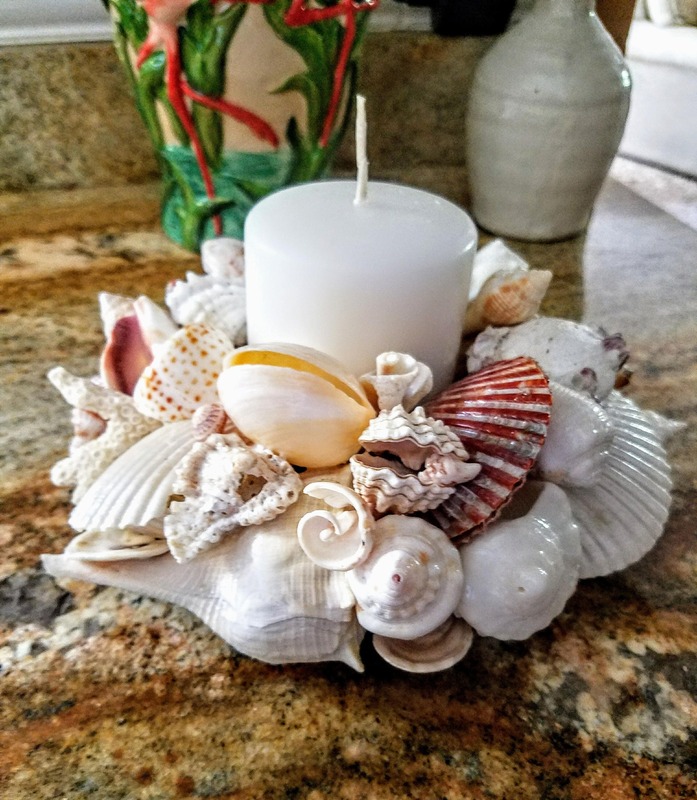 This unique piece can multi task as a beautiful, coastal centerpiece! PLEASE NOTE: THIS EXACT PIECE HAS SOLD. CURRENTLY TAKING ORDERS THAT CAN BE CUSTOMIZED TO YOUR LIKING! Brides! 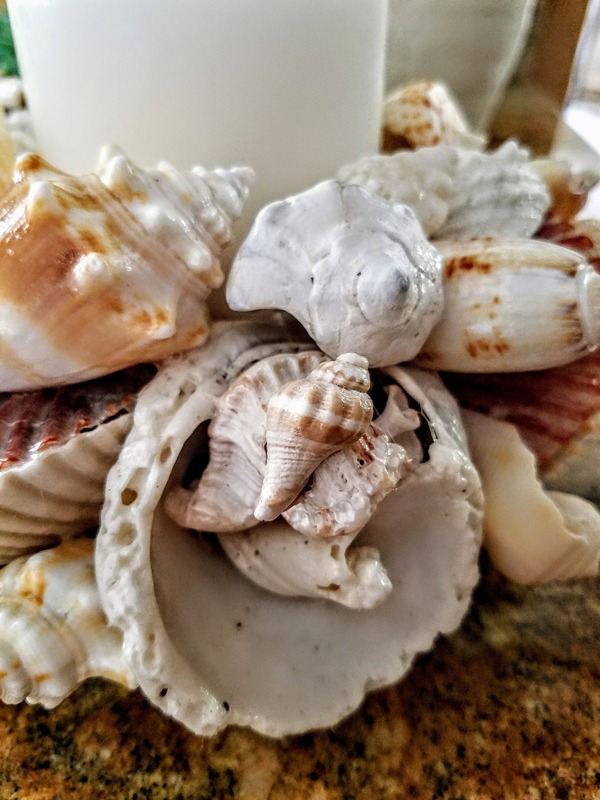 Please take note, my Seashell Blossoms Centerpieces can be customized to your liking for your very special beach themed wedding! 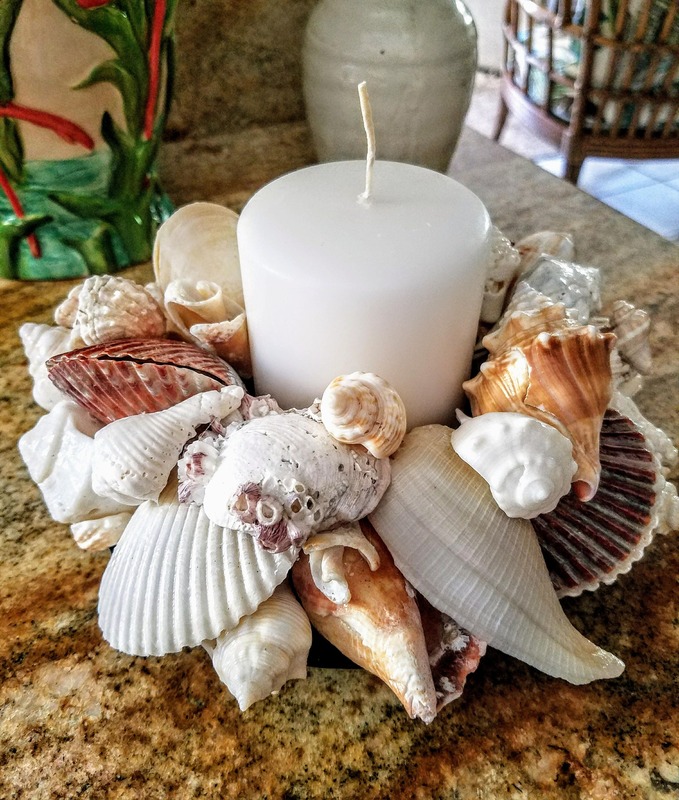 Please share your budget and I will gladly provide an example of seashell centerpieces I can create in your price range. It features an amazing mix of newer, shiny seashells in combination with ancient, fossilized seashells make quite the statement suitable for any design scheme. Outstanding addition to a coastal lover's decor collection, perfect gifting option for that special, discerning friend and has a place in any wedding venue. A ramped up version of my original, doubled tiered seashell blossoms, this piece has an extra layer of seashell artistry to wow. 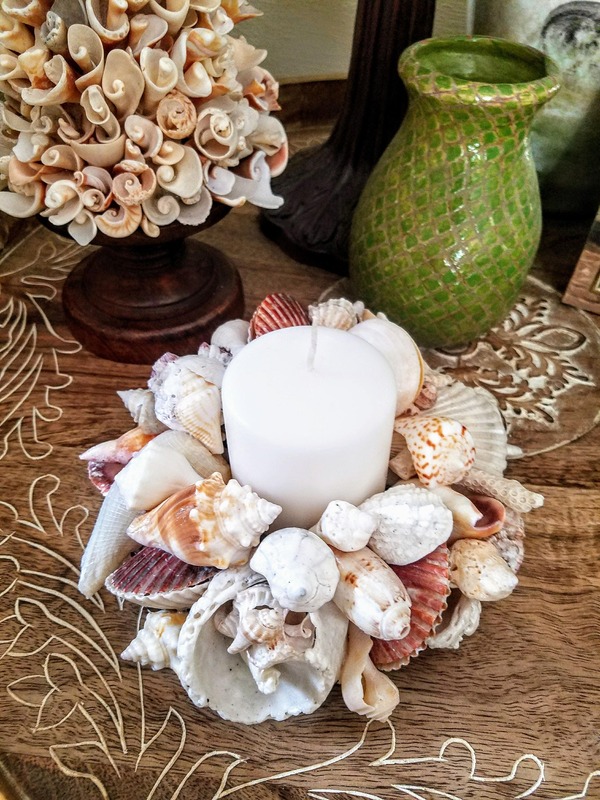 Mainly ivory colored seashells blend well with natural and brown's. Sealed with a glossy finish to pop colors and easy dusting with a clean, cosmetic brush. It measures 10" in circumference x 4" high. The opening supports 3" diameter candle all atop a powder coated base with 3 ball feet. Please see listings for newly completed 3 and 4 tiered, deluxe centerpieces available for immediate purchase.